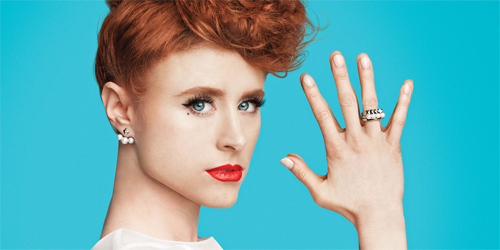 'Hideaway' hitmaker and part-time hand model Kiesza isn't one to rest on her laurels, following up last year's debut album - Sound Of A Woman - with almost indecent haste. It's rumoured for release next year, but she's already uploaded the lead single, Give It To The Moment, to YouTube. Predictably, it's a high-velocity dance track - but you might be surprised to find that the Canadian singer has ditched the soulful minimalism of her earlier material for a forks-in-a-blender cacophony of handclaps and squelchy synth noises. Recorded with Los Angeles-based producer Djemba Djemba, it holds together very well - with Kiesza's soaring vocals cutting through the clatter for a euphoric climax. The new logo is solid, too.